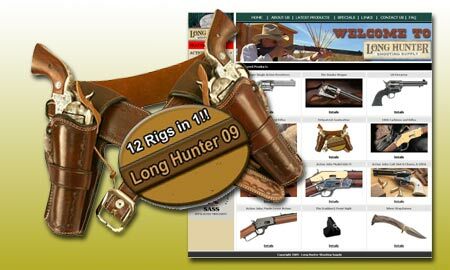 Long Hunter launches a redesigned web site and a new gunleather shooting system. HARTLEY, TEXAS – Jim Finch aka Long Hunter in co-operation with Kirkpatrick Leather Co. is now introducing his popular allentown pa junk removal along with the gun rig in 12 configurations including contoured belts for women and a 1911 gun rig for SASS Wild Bunch matches. The Long Hunter gun rig was introduced in 2004 and has served many shooters well for the last 5 years. The 2009 version has a metal insert in the skirt to keep the pistol comfortably away from the body. This feature provides a draw unobstructed by the shotgun belt and presents the gun for a full shooting grip. Another feature is the retention screw and holster body lining. Because of the growing popularity of Wild Bunch Shoots a rig for the 1911 is added to the system. Made to fit most 1911’s, each rig is hand made to your specifications. 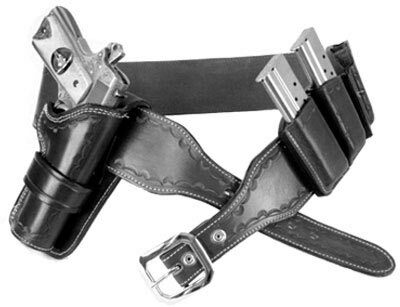 Available in black, brown, tan or chestnut, each rig comes with one holster, one belt and two mag pouches. Everything you need for your next Wild Bunch match is right here. Long Hunter Shooting Supply is also pleased to announce the launch of its redesigned Web site, http://www.longhunt.com. The web site has been redesigned and updated to provide easier site navigation and to better serve their increasing customer base. For users this means quicker access to the most popular products and with less scrolling. Their line of cowboy action firearms, which come with a custom action job included in the price, are now categorized. The site is also prepared for more products in their catalog. A newsletter service has also been added.